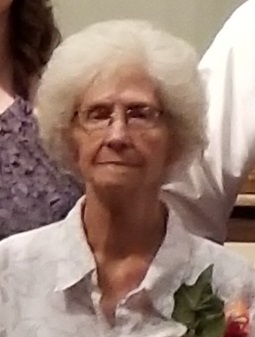 Ella Lee Johnson, 83, of Norris City, passed away at 8:40 a.m., Friday, April 12, 2019 at her residence. She was born in Warren, AR on December 5, 1935 the daughter of James O. and Hattie Mae (Clark) Camp. Ella married Luther Ray "Razor" Johnson on November 29, 1958. She was a past member of the American Legion Auxiliary and an Air Force wife. Funeral services for Ella Johnson, 83, of Norris City will be held at 10:00 a.m., Monday, April 15, 2019 at Campbell Funeral Home in Norris City with Pastor Chris Marsh officiating. Burial will be in I.O.O.F. Cemetery in Norris City. Visitation will be on Sunday, April 14, 2019 from 5:00 p.m. until 8:00 p.m. at Campbell Funeral Home. Memorial contributions may be made in Ella's name to Shriners Children Hospital and will be accepted at Campbell Funeral Home in Norris City.